A gorilla safari is possible in a country where mountain gorillas exist therefore it commonly done in east Africa. In east Africa gorillas are found in Uganda, Rwanda and DR.Congo. Uganda is home to half of the world’s remaining mountain gorillas and thus this makes Uganda the best place to spot mountain gorillas in there natural habitats. The chances of seeing mountain gorillas are 99% and therefore unless if you are the unluckiest person in the world, you will be able to see the Mountain gorillas in the wilderness. Mountain gorillas are herbivores and they live in groups also referred to as families headed by the male silverback which usually weighs around 600 pounds. On this page we will not bore you with the scientific details and other details which you are not looking for. We will try our best to answer all your questions, concerning gorilla tours and gorilla tracking safaris by answering your frequently asked questions. Do not be afraid gorillas are not omnivores but they are herbivores meaning they only eat shrubs, leaves and roots and stems. Therefore they can not eat humans thus making the over all mountain gorilla trekking experience safe. How many gorilla groups are found in Uganda’s Bwindi national park? Uganda has two national parks which house the gorillas and that is Mgahinga national park and Bwindi National park. Mgahinga park has one gorilla family Nyakagezi which is always on the move and therefore these gorilla permits are only available a month to the date when they are certain that the gorillas have moved back to Uganda. Bwindi national park has 12 families and the gorilla group with the largest number of individual gorillas is Oruzogu family with 20 members. What is the cost of a gorilla permit in Uganda, Rwanda and DR.Congo?. A gorilla permit in Uganda costs USD 600 per individual, allowing you to trek gorillas during the peak periods. However during the low season months like April, May and November the permits are usually discounted and they cost USD 450 each. In Rwanda the gorilla permit costs USD 1,500 per person all year round whereas in DR.Congo the gorilla permit costs USD 450. 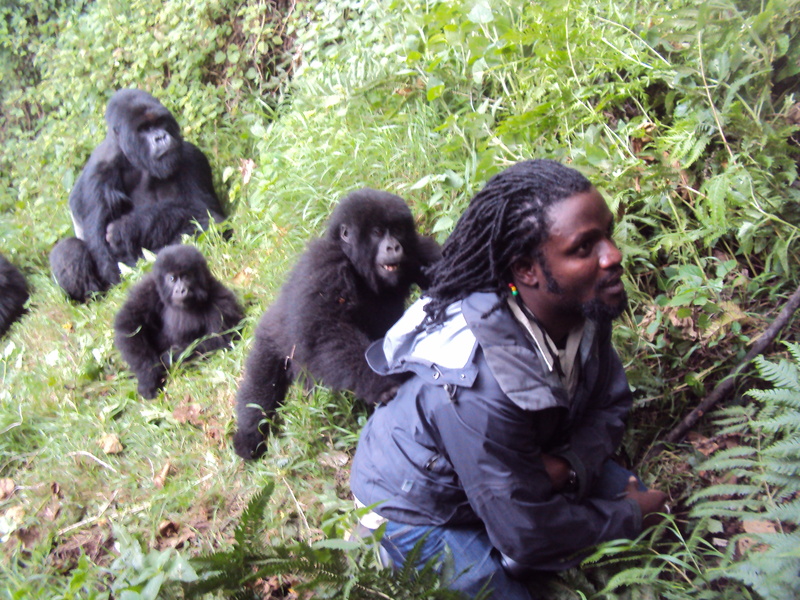 Rwanda has also recently introduced private gorilla trekking and this would cost USD 15,000 for the entire group. What is the best time to see mountain gorillas?. Gorilla trekking safaris run all year round, however most tourists prefer to visit parks to see gorillas during the drier months of the year which is June, July , August and September because the trails are not so slippery during these months. However due to the global climatic changes, we do receive showers even during these months. Therefore it is always advisable to carry a rain coat especially since these parks are made of rain-forests. We also have to inform you that during the low seasons, gorilla permits are discounted and some accommodations offer discounted rates. Therefore if you are on a budget, we would recommend travel between April and May or November. Best country for gorilla safaris – Uganda and Rwanda. The gorillas in Uganda and Rwanda do not look any different they are the same as they are all mountain gorillas. However other factors like driving distances from the capital and also number of days you have for your safari, or how strenuous the gorilla trek is, are always the deciding factor for your best place to trek gorillas. Uganda gorilla tracking is more strenuous compared to Rwanda gorilla trekking. 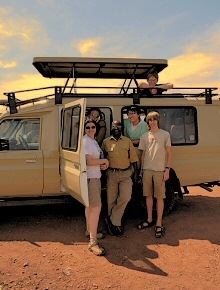 Therefore for those who like a hiking challenge we would you do your gorilla safari holiday in Uganda. Whereas for the older people, we would recommend you trek in Rwanda. The best place is also determined by the prices of the gorilla permit and therefore most people opt to trek gorillas in Uganda. The other factor is the driving distances from the capital of each country to the national par. Rwanda has a shorter distance from Kigali to volcanoes national park, whereas Uganda has a longer driving distances from Kampala to Bwindi park. However Bwindi national park can also be accessed from Kigali and it is just 5 driving hours compared to 9 hours from Kampala to Bwindi. If you prefer trekking gorillas in Uganda, please note that our Uganda safaris are tailored is such a way that you do not have to drive direct to Bwindi. Also there is the option of flying as there are schedule flights to Bwindi. or you can opt to do our Bwindi flying safari. How many days do I need for a gorilla holiday. The minimum number of days needed for a gorilla tour depends on the country you prefer to see gorillas in. In Rwanda you need at least one full day to see mountain gorillas on a, whereas if you are to trek gorillas in Uganda, you need a minimum of 3 days. Is it safe to visit Rwanda or Uganda for mountain gorillas. Yes it is safe to visit both Uganda and Rwanda to see mountain gorillas. Despite the fact that both countries are safe and free from war, they have strict guidelines on how to trek the gorillas to avoid conflict between humans and gorillas but still enjoy meeting the gorillas in their natural habitat. Although the world travels to Uganda and Rwanda to watch mountain gorillas in their natural habitat, these two countries have more to offer including the Big Five animals, mountains and volcanoes to hike and also diverse cultures that are worth exploring. Thus do not travel to these countries on safari for just the gorillas, take some time off like 2 weeks to explore and you will not regret your decision. The exact number of mountain gorillas living within the verdant forests of Uganda (Bwindi impenetrable forest national park and Mgahinga forest) today is not known. However Uganda is said to have more than half of the total number of mountain gorillas living on the planet earth. As per the gorilla census which was conducted a couple of years back, the Bwindi forests had more than 400 gorillas while Mgahinga forest had more than 80 gorillas. There are 36 gorilla families living within the impenetrable Bwindi forest, and the others in Mgahinga Gorilla forest Park. Read More. Are you looking do a Uganda gorilla safari or Rwanda gorilla tour contact us on the inquire button below.